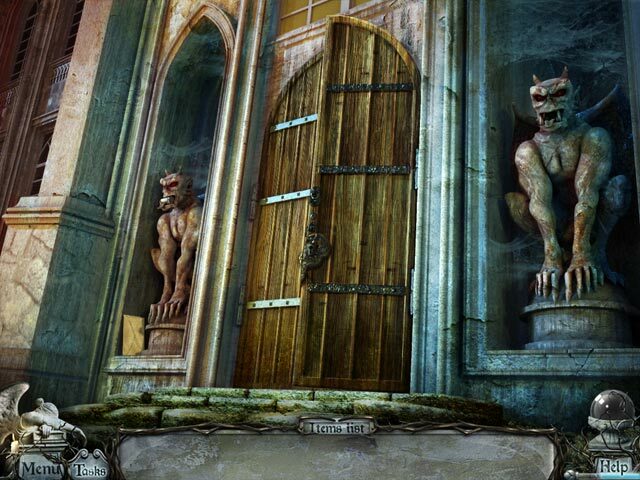 Rated 5 out of 5 by Bebe511 from Gravely Silent: House of Deadlock Enjoyed this game very much! Even my 4 yr old joined me looking for things. The story line is captivating. Rated 5 out of 5 by megajacksmum from FUN, FUN, FUN. I loved this game.........bit disappointed with the abrupt ending though! hog's good but quite difficult to find sometimes ( lets hear it for the hint button!!) I love the interactive hog's especially, just gives an added dimension to an already great game. well done vogat!! Rated 5 out of 5 by beachmike from A Fun, Long Game I would say that this game was real good, just short of being great. The story was good. A woman has to save her sister from being the 5th wife murdered by evil Richard. In order to do this, she must find the 4 rings from his dead wives to set her free. There were lots of locations with many objects to find. Puzzles were of medium difficulty and very solvable, HOS were often very cluttered, which made some difficult but not impossible and the graphics were beautiful and colorful. All in all, many hours of enjoyment and not really for beginners. Rated 5 out of 5 by triiv from Long play and plenty of puzzels Though this game would have normally earned four stars, the length of play kept me busy and thinking for a longer time than the overwhelming number of other games. Though some people will feel it is too long and drags on, I found it to be broken down into a number of interesting stories that kept my attention as the stories combined. I would like to see more extra long play games with fun story lines. Rated 5 out of 5 by Adge1 from Great story! Really enjoyed. Hard to stop, got really into it, wanted to solve it but didn't want it to end, either. Found some of the puzzles difficult, so did use "skip". Also, many of the HOS were tough. However, story line was great and nothing deterred me from wanting to continue. Rated 5 out of 5 by joylight57 from First Review I've been playing hog for awhile now but this is my first review. This game was worth the price for being the weekly special. It had alot of hogs & other relatively easy games within. There was lots of scenes & storyline & it was quite lengthly but not boring. Would of liked to have seen it end w/ getting revenge directly on Richard first hand but o well... still one of the better games I've played. Rated 5 out of 5 by moonflower54 from Gravely Silent: A Very, Very Creative Game! Definitely a game I would love to see more of! I purchased game long ago and only recently played in January. Wow, was I ever surprised at all the creative elements. I needed about 30 minutes into game to capture Developers creativity, which combined a classical music score with surreal, spooky and theatrical themes throughout game. I played on my Lap Top in Advance Mode, Wide Screen if I recall correctly and graphic quality was more than suitable. Wish I had purchased CE!!! This game combines a nice amount Of HO and Adventure plus going through several portals, which I love in games. Short and smooth game play. Rated 5 out of 5 by ladyluvnay from Awesome storyline and hidding object game. Just got this yesterday and I'm so glad I did. It has a great story line. Me and my daughter love playing this game. I enjoy the graphics and the dark feel to it. It's not as dark as some of the hidden object games I've played in the past, but it is definitely on my top 10 games to play. Rated 5 out of 5 by EnvirEng from Wow! Amazing Game This is it for me, a wonderful HO/Adventure. Great graphics, if a bit dark. Good sound track. Good story, although the ending was a bit confusing in the last second. Lots of cool places to explore and lots of puzzles. Not too difficult. Many just requiring patience, not brain power. The story is typical for these types of games and well suited to the format. Your sister, who recently married the bizzilionaire Raincliff has died. But, in a dream she tells you she isn’t dead. You go to Raincliff mansion to poke around, while the bereaved widower is away. You discover that he has buried quite a number of brides, all shortly after he married them. Apparently, he is using their life energy to stay young. You must search the mansion and surrounding area to restore each dead-wife’s statue to free her spirit. After you do that, you get all five wedding rings and break the spell for good. Spooky atmosphere and he needs to hire a cleaning lady. I played in the Advanced Mode and did have to use a few hints to figure out what to do next, but I did not have to refer to the walk-through. For me, the game has the right mix of HO scenes. Not too many, but enough. Some scenes were dark and a few items were microscopic, but in general, doable. I had to use a few hints to find things. Everything was properly labeled and some minimal interaction was required. As someone else pointed out, this is probably not for beginner HO players. The game took me several hours to play. Overall, it was very well done. There were only one or two places where I thought the developers failed. When nasty eels are guarding something in the swamp, I don’t think strawberries are going to distract them. And, there was a thing involving a magnet. Probably not for beginners, but for seasoned players, this was great! Rated 5 out of 5 by JayTeeLine from Lovely game at all levels of pricing.... Whether it be full price or at the DD price of 2.99. This is not a full review, but I wanted to be able to say how much I am enjoying it. It is sooo long and detailed that I will be able to play it over and over again. I have already forgotten how to get from point a to point be....so it will still be a challenge for a long time. WTG Vogat. I can always count on the full package from them. I highly recommend this game!! Rated 5 out of 5 by sesame49 from Absolutely Wonderful Game! At first I thought this was going to be another dark and dreary game. But Alas! It was fun, it had a great change of scenery, especially as you journey through the different portals! The different games and challenges were done extremely well, wasn't a CE, but didn't need the help....the hints and guide were enough to get me through the tough spots. All in all I would highly recommend this game, even if just for the scenery, music, and fun! There are plenty of really great games out there that are SE, most are equally as good as the CE's for half the price. Rated 5 out of 5 by redridinghood10 from Excellent mix Loved this game. I'm picky but this one had the right mix of puzzles and HOG plus interesting story line. It also lasted longer than a lot of them do which is always a bonus. Puzzles are unique to this game. Would definitely recommend. Rated 5 out of 5 by wiccan73stars from Great Game for anyone! While a little on the short side, this was truely a great game to play. The graphics were crisp and clear, stunning scenes and well done VOs.The music was perfect for the eerie setting and provided motivation to keep going. The puzzles proved to be a good mix of easy and hard challenges. I loved the story line and was captivated from the very start. Whether your a beginner or expert this game provides good fun for all! Rated 5 out of 5 by LunarBean from loved it I usually give highest ratings for fun factor, captivating storyline, fluidity of gameplay, graphics/sound, and replay factor. The storyline sucked me in, game play was moderately challenging and always enjoyable. I couldn't stop playing this one. It was solid game and worth the purchase. Rated 5 out of 5 by Fuphyter from Great Story and hours of fun! I loved this game. The story was very good, graphics were great. Hard to explain, but the game is like a "main game" with quite a few mini games to explore. I love games that take a long time to finish. This has that and so much more. Rated 5 out of 5 by mnlght_maiden from Great game I love the plot in this game- it's eerie, which is my favorite kind. 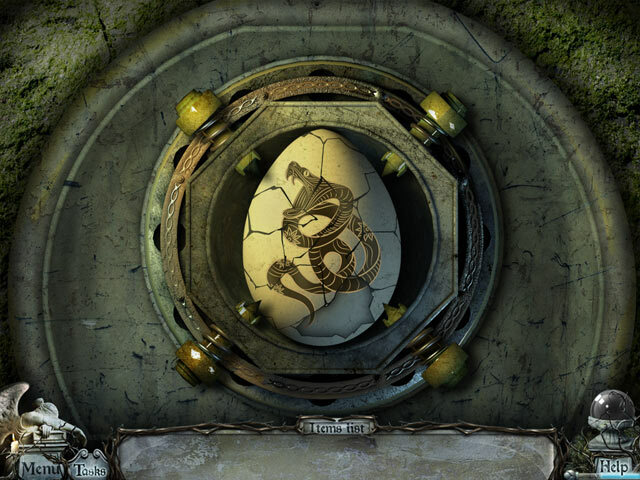 The hidden object scenes are easy to complex, and some areas have puzzles that are hard to figure out. It's fun going into the wives' different "worlds"- all are completely different. A downfall, though, is all the walking. Rated 5 out of 5 by ashmidnight from Gravely Silent a pleasant surprise! I got this on a $4.99 special after buying another game, and thought it would take me a couple of hours to complete. I was wrong. Even though this isn't the Collector's Edition (which I kind of wish I had now), it took me a good four to five hours to finish this. It started off slow, and was kind of mad because I'd seen other similar types of scenes and HOS's before in other games, but once it started to pick up I was very happy. Also, I loved the music, especially at the tail end. I found myself turning up the volume instead of down (which I usually do out of annoyance). The storyline is actually what made this game good for me. The HOS's are pretty normal (although my eyes took time to adjust to the great hodge podge of clutter). The puzzles are just challenging enough. The hint button is very useful, and you can skip a puzzle pretty quickly if you realize you don't feel like fooling with it. All in all, I definitely give this one 4.5 stars! Rated 5 out of 5 by Tulipx6 from Great game....as long as you are not afraid of snakes. I really enjoyed this game....I have one BUT....I am not just afraid...I am terrified of snakes. I realize that the world does not need to tailor the games to me...but I would really like to be forewarned. I had to have my son play several scenes for me because there was just too many snakes or it involved snake interaction. I realize that they appeal to the creepiness of the game...but I wish game makers would realize that there are a lot of people out there who fear spiders and snakes and interacting with them on a game is not the fun that the game intends. Rated 5 out of 5 by WispofWist from Unique Plot At first I was not sure about this game, but after I tried the demo I knew I had to buy it! I was afraid it would be a typical "throw as many skulls and screaming ghosts at the player as possible" game, but it was one of the few games on Big Fish that relies on having an wonderfully eerie story versus having monsters with big, sharp teeth. The ghosts are not evil (for once! ), the artwork is painted in a style that is a touch dark, but rich in detail and colour. The story is unique for a game; it kind of reminds me of a gothic novel. There are a few inventive games and alot of gemstone/amulet collecting. The main character is smart and the adventure is focused on the goal of freeing your sister. I played on the harder of the two modes, and the misclick penalty was kind of ridiculous. Three misclicks in a row and your mouse freezes for a long time. Well, you know, for a misclick penalty. There are also, as another reviewer pointed out, multiples of the same object, so the penalty can get very annoying very fast. Fortunately, the game focuses more on the puzzles than the HOs, so this isn't as troubling as it would be in a lot of other games. There was also a mess up in Richard's age that really threw me off. I won't name it because it might be a spoiler, but pay attention to the dates of his wives' deaths and his age. The ending was also a little bit disapointing, and I felt like it needed elaboration. They may be considering a sequel that tells Richard's side of the story, or they could just have not felt like explaining everything. Other than those two minor flaws and one rather confusing ending (it's all about the conflict anyways), this game is very enjoyable and very unique. I definitely recommend it. Rated 5 out of 5 by MEnr56 from SURPRISED MYSELF With many of these games, I usually find myself using the walkthrough more than I like but with this game, it was just the opposite. The hint button (without being used up until you find an area within you need to investigate) will let you know whether or not you've got anything more to do AT THAT MOMENT while your task list can keep you abreast of what needs to be done. Between these 2 help aids, a player can usually keep on top of things of what to do and where to go and for me, THAT'S a BIG PLUS. I actually just used the walkthrough for a few puzzles -- there are certain ones that I STILL have no understanding of how to proceed while others were fine but just a bit time consuming. I had hoped for a more reactive ending but overall, this is NOT a bad game at all and I really enjoyed playing it. Rated 5 out of 5 by LinzLoucat from AWESOME! I loved this game. It was different than the average hidden object and adventure game. The visuals and story are entertaining, dark, and mysterious. Trying to find all the stuff wasn't obvious so it was somewhat a challenge. Rated 5 out of 5 by Scobeaux from Delightful This is a very creative and enjoyable HOG/adventure game with a pretty good plot. I particularly liked the graphics - there was a very whimsical and creative mind at work there. The music was not annoying. The HOG scenes actually made sense in the context of the plot and were varied throughout the game. The puzzles were, for the most part, reasonably doable and you could always skip them. Yes, there were somewhat creepy scenes, but there were just as many absolutely delightful scenes with chairs and pianos with faces. It is quite long and well worth your time and money in my opinion. Rated 5 out of 5 by Tikatoy from A stand out in the crowded creepy hidden object game genre Excellent graphics and soundtrack, and great variety and originality in the puzzles, and even in the hidden object scenes! I generally dislike interactive scenes, where you have to click somewhere to reveal an object because that generally involves just moving your mouse all over the screen to see if the cursor changes. In this game, the name of the object gives you a hint to what to do. E.g. "sliced meat" and you pick up a knife and use it on a ham. The locations were beautiful and varied, especially the netherworld scenes which had the most inspired artwork. The puzzles were a lot of fun and many were original, or presented in an original manner. Great game length too. 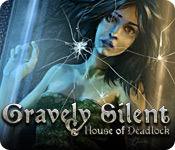 Rated 5 out of 5 by pencesl from Gravely Silent: House of Deadlock At first I hesitated to purchase this game because I thought it was just another dark, graveyard game. But I was pleasantly surprised by this one. It had multiple story lines that kept me interested and even though it was a long game, I did not get that feeling that I just wanted it to finish. In fact, I wanted it to go on. The game had just the right ratio of hogs and puzzles, and the artistry and music set just the right tone. I played the more challenging mode, and it was just the right amount of hints. Loved this game. Rated 5 out of 5 by mandabee from Loved it! Just finished this game, could not stop playing til complete. Great game play, some easy puzzles some more tricky but all original and interesting. Great hidden object scenes and story line.. this is a quality game and a must for IHOG lovers. Rated 5 out of 5 by pamela75 from wish more games were like this one!! thought this was one of the best games i've played.the mini games were challenging but not frustrating like some.the hidden objects were pretty cool too.I couldn't stop playing .. Rated 5 out of 5 by galotter from Full Value Even in Non-CE I had a long, enjoyable time playing this game to the end. First I was a bit disappointed that there were only 5 major sections to play, but each section was intricate and satisfying. I think this is the best value for a game credit I have ever received. 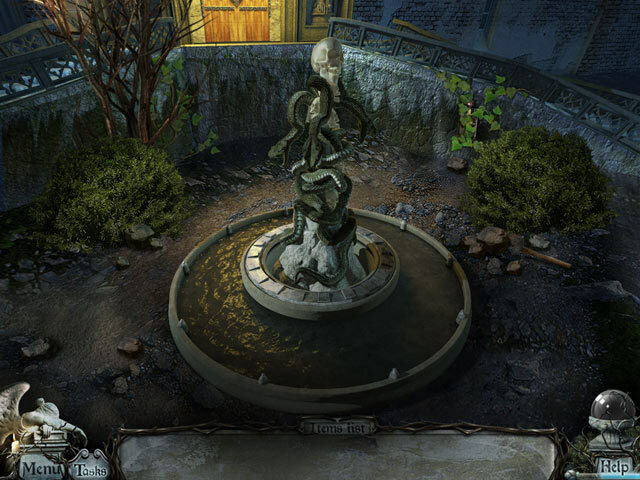 Rated 5 out of 5 by sandebeach from Gravely Silent is a Great Hidden Object Game PLUS SIDE = I really enjoyed this game, it kept me interested right from the start of the game. The use of portals and Netherworlds enhanced the game play, and extended the scene into a different dimension. The graphics were very good, ranging from the usual graveyard scenes to some almost Salvador Dali-type scenery in the Netherworlds. Music is an important game feature for me, and the music and ambient sound effects were excellent. Took me over 4 hours to play, and yes, I had to periodically refer to the Walkthrough when I got stuck. MINUS SIDE = The HOG scenes were at first intimidating, but either I got better or they got easier as the game progressed. What I did not like was the abrupt ending to the story, if I had blinked my eyes I would have missed it!